DESCRIPTION *** PRICE REDUCED FOR A QUICK SALE ***. Immaculately Maintained, Super Clean & Renovated Townhouse facing GREEN SPACE & VISITOR PARKING in Taradale offering a Spacious Main Floor Living Room with a Corner Gas Fireplace, Renovated Kitchen with Brand New Upgraded Stainless Steel Appliances, Glass Mosaic Backsplash Tile on the Main level. Upgraded Tile flooring on the entire main level. The Upper level hosts a Master bedroom with double closets and two more bedrooms that are very good sized. There is a Deck in the Backyard for family relaxation. Located in a great complex & surrounded by friendly neighbours. Plenty of visitor parking available right across the unit. Taradale is a Vibrant Multi Cultural Community with Schools, Parks & Play Grounds. Super Store, Co-op Gas Station, Restaurants, Banks, Pharmacy, Genesis Recreation Centre and the New Saddletowne LRT within a 5-minute driving distance. This is a Great Opportunity to Start Home Ownership since this house has everything you have been looking for !!! 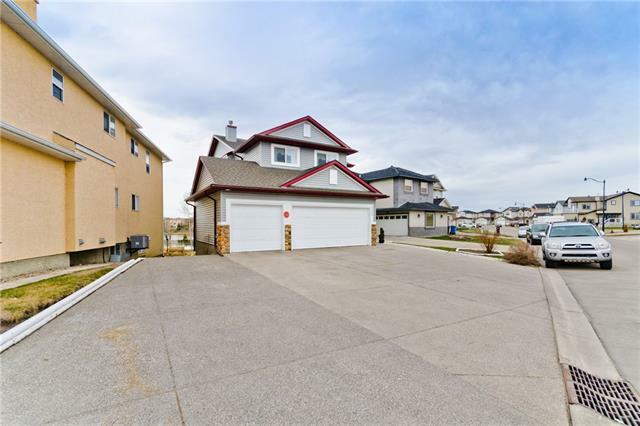 Home for sale at #46 111 Tarawood Ln Ne Calgary, Alberts T3J 5B9. Description: The home at #46 111 Tarawood Ln Ne Calgary, Alberta T3J 5B9 with the MLS® Number C4220390 is currently listed at $259,963.